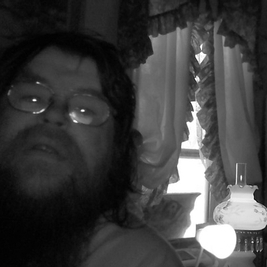 Steve Pierce - Composer/Musician - The Old Ones. Performed by "Embryo" featuring: John "Mac" McFadden-Acoustic 12 String Guitar, Backing Voice; Steve Pierce-Electric Piano, Lead Voice. Written by Steven Pierce 1972. Recorded LIVE 1978. The Old Ones. Performed by "Embryo" featuring: John "Mac" McFadden-Acoustic 12 String Guitar, Backing Voice; Steve Pierce-Electric Piano, Lead Voice. Written by Steven Pierce 1972. Recorded LIVE 1978. I gave myself a 4am no look haircut. I want to thank my friends here at Fandalism for your overwhelming support! You know who you are, and I think I have a better idea as well. 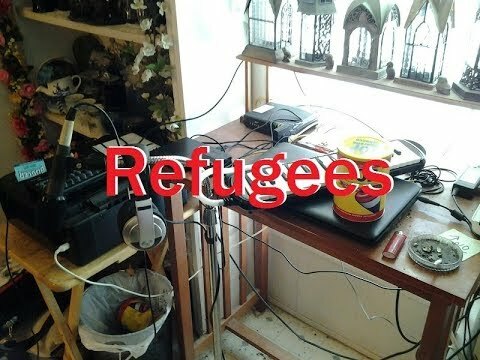 Refugees. "Jerry Hatrix" with Curt Christian-Electric Lead Guitar; Greg Guidi-Fretless Bass; Mike Pierce-Nylon and Steel String Acoustic Guitars, Drum Sequence; Steve Pierce-Keyboard, Melodica, Electronic Percussion, Voice. Words by Steven Pierce, Music by Michael Pierce, Arranged by Jerry Hatrix 2016. 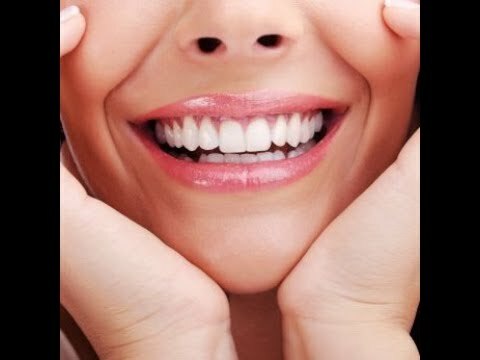 Video Production by Steven Pierce 2019. When I'm 64. 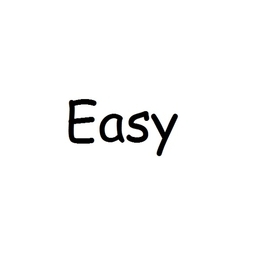 Written by John Lennon and Paul McCartney. Performed by Michael Pierce. My Shaky Short Winded Video. 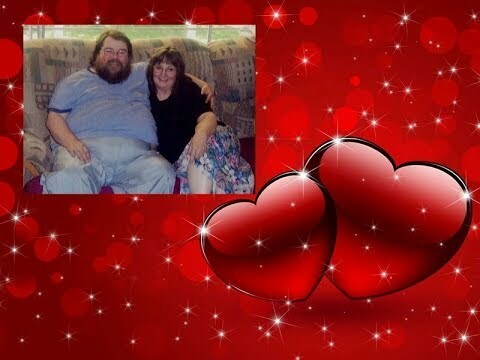 I made this video for my brother Mike, who'll be here in June. Maybe we can make some noise. 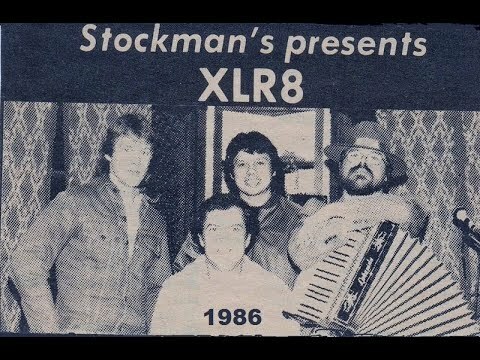 EMBRYO Medley LIVE 1978 Spanish Prelude: Malagueña Variations. Music by Ernesto Lecuona, Arranged by John McFadden. John "Mac" McFadden- 6 String Acoustic Guitar. The Saga. Words by Steven Pierce, Music by John McFadden and Steven Pierce. John "Mac" McFadden- 6 String Acoustic Guitar. Steve Pierce-Electric Lead Guitar, Voice. The Sage. Words and Music by Greg Lake, Arranged by John McFadden and Steven Pierce John "Mac" McFadden- 6 String Acoustic Guitar, Voice. Steve Pierce-Electric Lead Guitar. Rhythm Method plays R.E.M., Gin Blossoms and The Beatles featuring Curt Christian, Steve Pierce and Dennis Vaught. 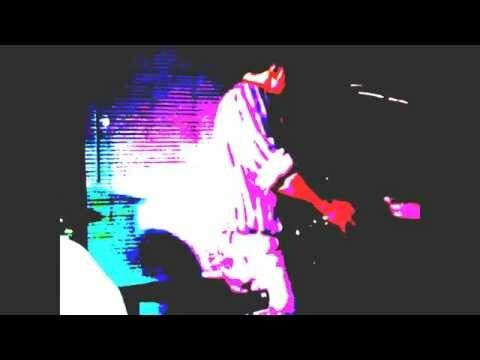 Recorded LIVE at band practice on a boombox 1998. 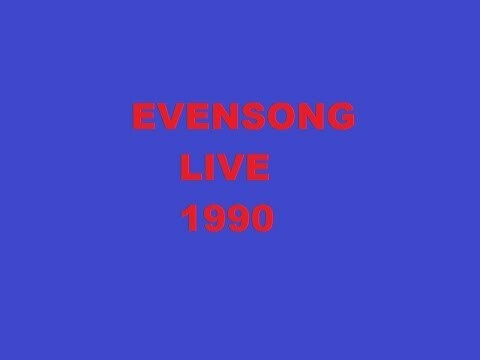 EVENSONG plays Bruce Springsteen, Paul McCartney and INXS featuring Rod Coleman, Tony Lotches, Steve Pierce and Andy Ward. Performed and Recorded LIVE 1990. ELO Medley: A. Calling America. 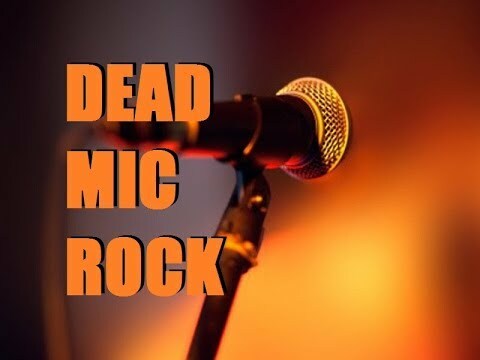 Performed by "XLR8" featuring: Tony Lotches-Bass, Backing Voice; Gene Pierce-Drums, Backing Voice; Steve Pierce-Keyboards, Lead Voice; Andy Ward-Guitar, Backing Voice. 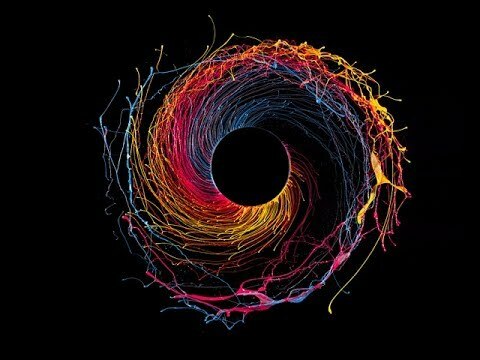 ELO cover. Recorded LIVE 1986. B. Can't Get It Out Of My Head. 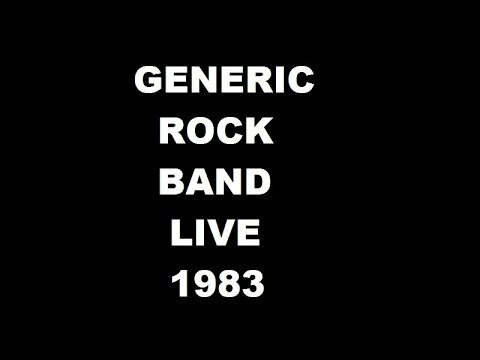 Performed by "Generic Rock Band" featuring: Paul Bridges-Bass, Backing Voice; Rick Coker-Lead Guitar; John "Mac" McFadden-Acoustic 12 String Guitar, Backing Voice; Gene Pierce-Drums; Steve Pierce-Electric Piano, Lead Voice. 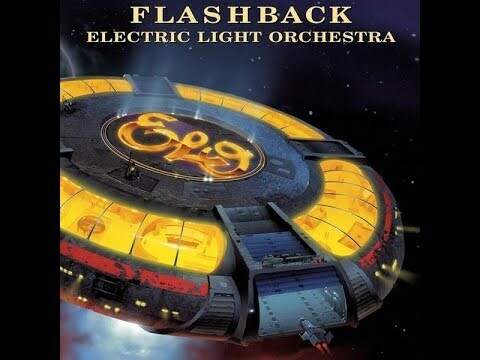 ELO cover. Recorded LIVE 1982. Medley: A. New Girl Now B. Tutti Frutti. 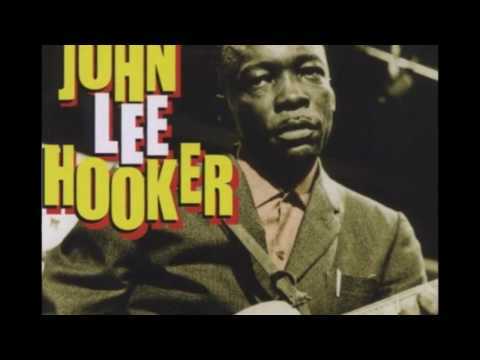 Performed by "XLR8" featuring: Tony Lotches-Bass, Lead Voice 2, Backing Voice; Gene Pierce-Drums, Lead Voice 1, Backing Voice; Steve Pierce-Keyboards; Andy Ward-Guitar. Honeymoon Suite/Little Richard covers. Recorded LIVE 1986. Walk Away. Featuring "Generic Rock Band" with: Paul Bridges-Bass; Rick Coker-Lead Guitar; Gene Pierce-Drums; Steve Pierce-Guitar, Voice. James Gang cover. Recorded LIVE 1983. 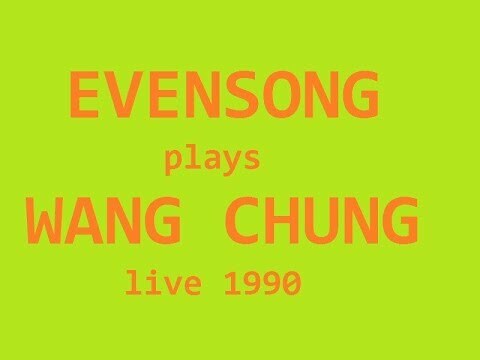 EVENSONG performs "Let's Go" a WANG CHUNG cover featuring: Rod Coleman-Drums, Backing Voice; Tony Lotches-Bass, Backing Voice; Steve Pierce-Keyboards, Lead Voice; Andy Ward-Guitar, Backing Voice. Recorded LIVE via boombox 1990. Visuals 2018. 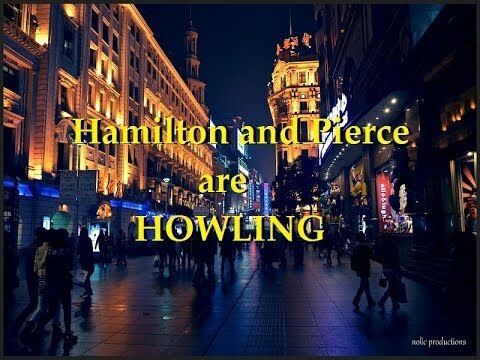 Howling by Alan Hamilton and Steven Pierce 2018. Featuring The Destruction Of Time with Greg Guidi, Mike Pierce and Steve Pierce 2014. 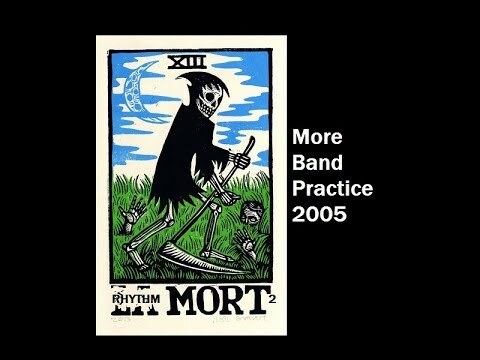 La Mort covers Mississippi Queen and Good Golly Miss Molly featuring: Mark Joneschiet-Bass; Mike Pierce-Guitar, Backing Voice; Steve Pierce-Screaming; John Vallejos-Drums. Performed and Recorded LIVE 1973. Visuals 2018.
Who do you love from the Pierce Brothers Summer Jam 2018. 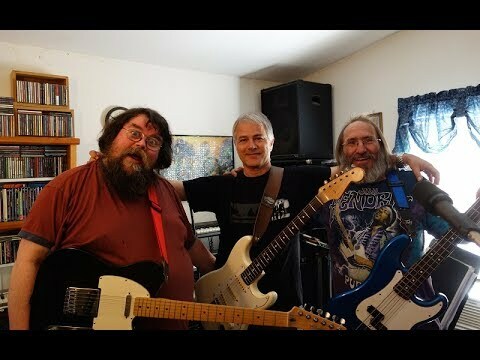 From Mike's YouTube channel, his comments follow: Jamming with my brother, Steve this past June. 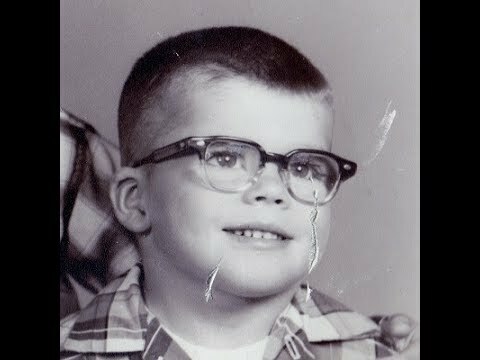 This is a song we played in band way back in 1971 - 1972. I'm so glad from the Pierce Brothers Summer Jam 2018. From Mike's YouTube channel, his comments follow: From jamming with Steve in June. Inspired me to record it separately, which Steve uploaded with some vintage Cream pics. A minor and G from the Pierce Brothers Summer Jam 2018. 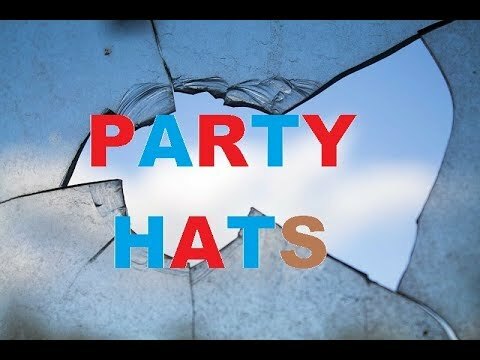 From Mike's YouTube channel, his comments follow: Another jam song with Steve in June. Just made it up as we went along. Simple but fun. We used to be in bands together (early 70's), but have only seen each other twice in the last 20 years, so yeah, a little rusty! Progressive Jam from the Pierce Brothers Summer Jam 2018. 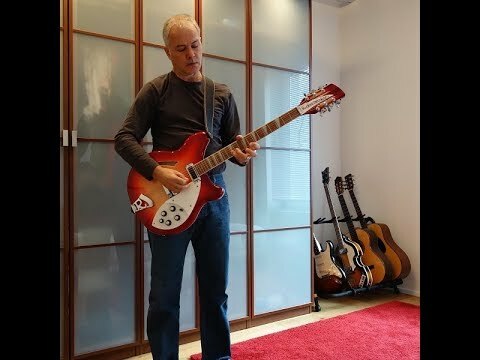 From Mike's YouTube channel, his comments follow: Another jam in June with Steve. This time with two surprise guests! Banjo Lessons from the Pierce Brothers Summer Jam 2018. 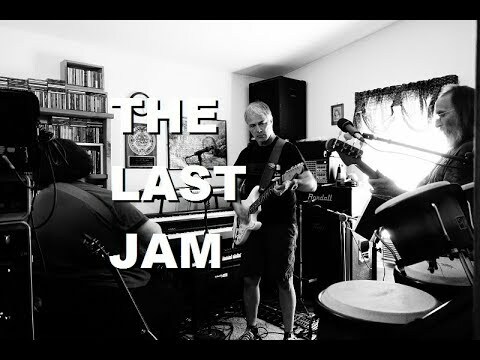 From Mike's YouTube channel, his comments follow: Last bit of entertainment from the June jam session. Never played a banjo, they are not in tune, and Steve is distracted by a spider crawling down his arm. Not worth repeating! 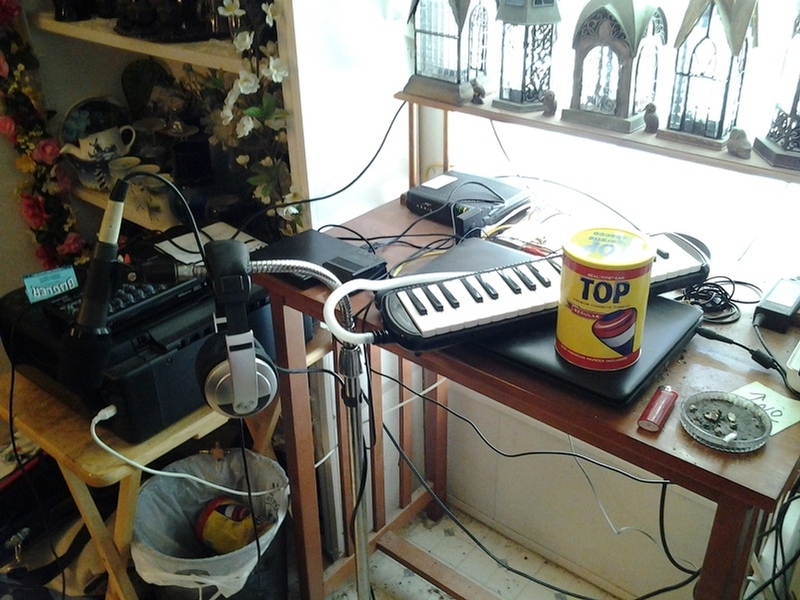 Hey Folks, I Cleaned Up My Band Room. It was such a mess I couldn't access anything. I didn't realize at the time I shot this, that I began humming the theme to "Star Trek" LOL!!! I know, this is silly, hahaha!!! I'm So Glad. Written by Skip James. Cream cover. 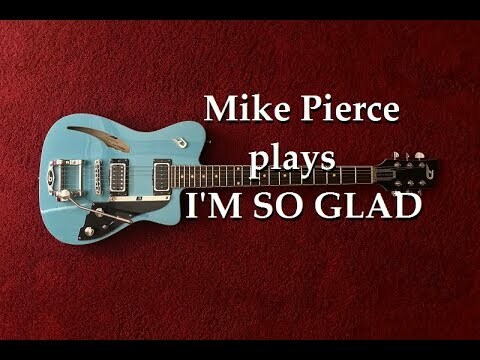 Performed and Recorded by Michael Pierce 2018. 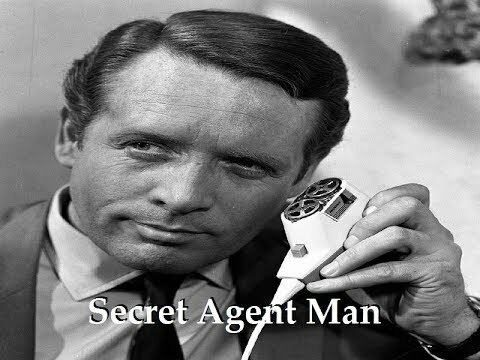 SECRET AGENT MAN performed by GENERIC ROCK BAND featuring: Paul Bridges-Bass; Rick Coker-Lead Guitar; John "Mac" McFadden-12 String Acoustic Guitar; Gene Pierce-Drums; Steve Pierce-Rhythm Guitar, Voice. 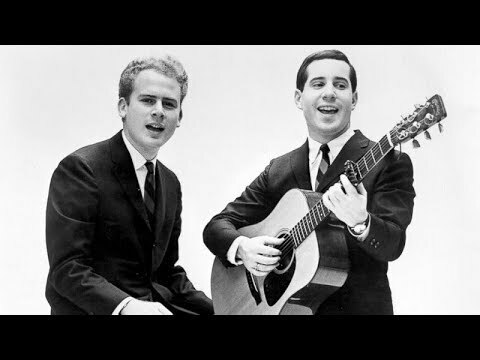 Johnny Rivers cover, arranged and additional lyrics by Michael and Steven Pierce. Recorded LIVE 1982. 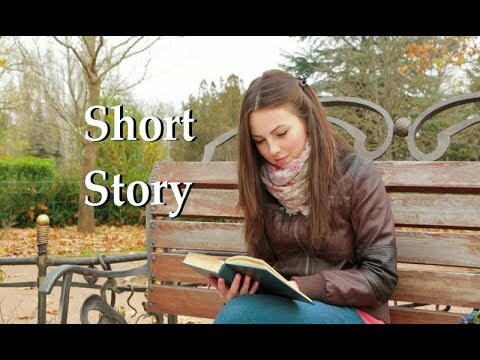 Short Story. Written, Performed and Recorded by Steven Pierce 2018. Visuals 2018. Saw a symphony today, what else can I say? I had no money although I had to pay Saw a symphony today Well they say life is free as you bend at the knee hear the melody degrade, saw a symphony today I feel I've been unwound, I feel I'm under ground Well they say life is free as you bend at the knee sing the music all the same till it's time to leave the game I feel I've been unwound breeding at the lost and found I feel I'm under ground now the call begins to sound Oh they say life is free as we bend at the knee hear the melody replay, saw a symphony today Saw a symphony today, today Saw a man stuck down today, what else can I say? 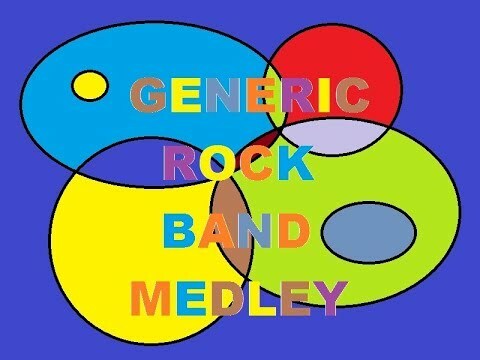 Generic Rock Band Medley featuring: Paul Bridges-Bass, Backing Voice; Rick Coker-Lead Guitar; Gene Pierce-Drums, Backing Voice; Steve Pierce-Guitar, Lead Voice performing covers of Free, Charlie Daniels Band and John Cougar. Recorded LIVE 1983. Visuals 2018. "Come A Little Closer" performed with Rhythm Method featuring Curt Christian. 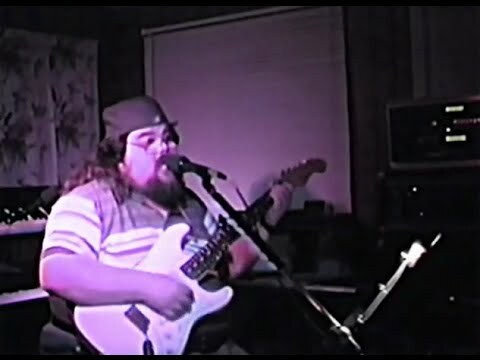 See a salvaged VHS image of Rhythm Method playing my " Come A Little Closer" from 1998. 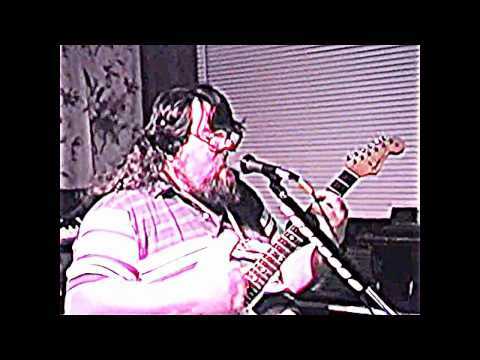 Steven Pierce - all sequencing, backing guitar/lead one, backing/lead vocal, Dennis Vaught - bass and backing vocal, Curt Christian - guitar/guitar synthesizer, lead two, lead vocal - from an original idea by Jamie Rollins - by Curt Christian, with bridge section written, scored and voiced by Steve Pierce. 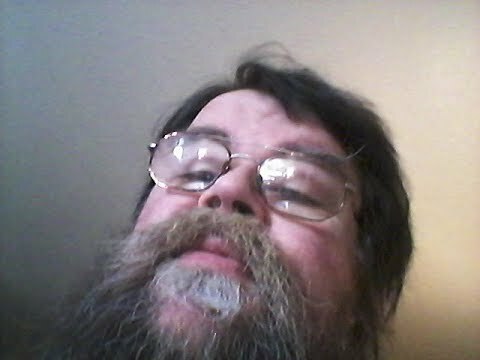 Video and description from Curt Christian's YouTube Channel. The Blood Red Moon. 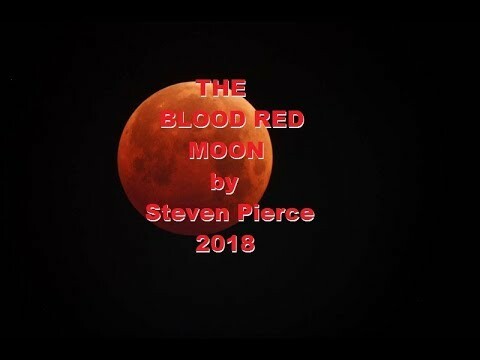 Written, Performed and Recorded by Steve Pierce 2018 THE BLOOD RED MOON by Steven Pierce 2018 There in the sky as it turns around, is a big red eye and it makes no sound. See how it trys to escape the bounds, but the earth below gonna hold it down. High in the night as it passes by, no wrong no right only on the fly. Don't look away or let out a cry, who's to say that we won't collide? 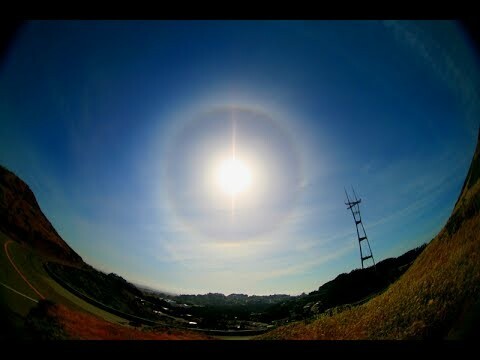 There in the sky as it spins around, is a big red eye and it has no sound. Don't run away or shout out a cry, who's to say that we won't collide, with the blood red moon? 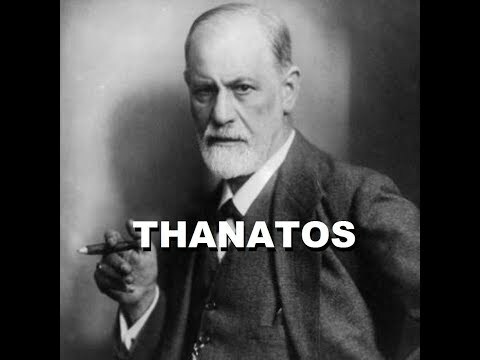 Thanatos (Original Mix). Written, Performed and Recorded by Steven Pierce 1990. Mark's Theme (Jam). 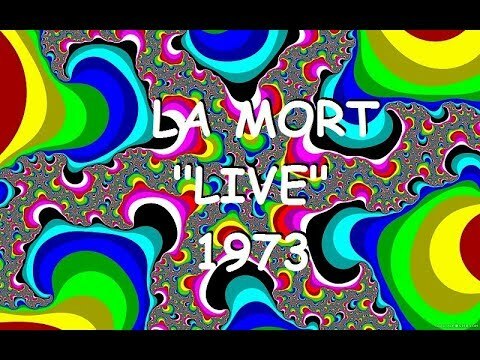 Featuring "La Mort" with: Mark Joneschiet-First Bass, Second Guitar; Mike Pierce-First Guitar, Second Bass, Whistling, Voice; Steve Pierce-Kazoo, Tambourine, Voice; John Vallejos-Drums. Music based on a Grand Funk Railroad cover. Performed and Recorded LIVE 1973. Visuals 2017. 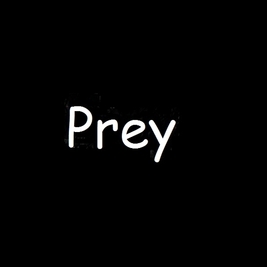 Easy Prey Medley. 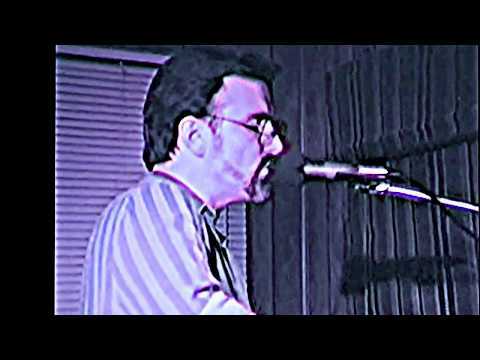 Five original songs from Steven Pierce and Friends 1982. Visuals 2018. 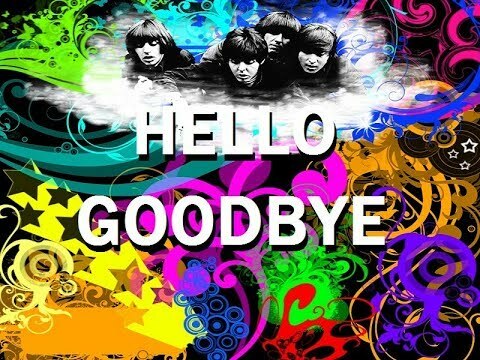 Hello Goodbye. Featuring "Rhythm Method" with: Curt Christian-Guitar, Guitar Synthesizer, Lead Voice; Steve Pierce-Sequences, Keyboard, Backing Voice; Dennis Vaught-Bass. Beatles cover. Recorded and Performed LIVE 1998. Visuals 2017. 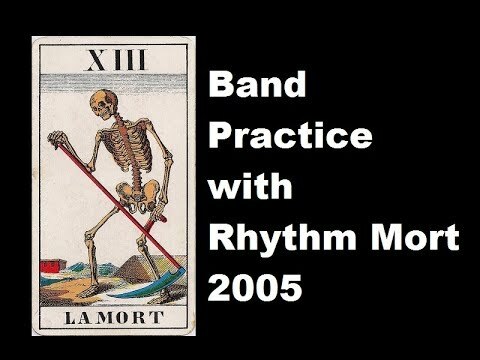 RHYTHM MORT 2 featuring Mike Gervais-Harmonica, Guitar; Greg Guidi-Bass; Steve Pierce-Sequences, Guitar, Voice. 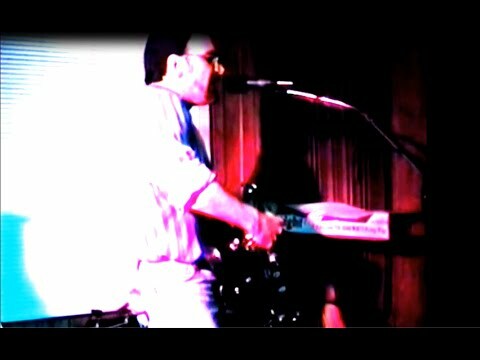 Original tunes recorded LIVE at band practice with a boombox 2005. 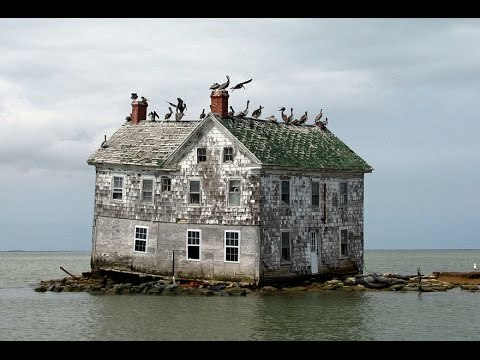 Psychoanalytic Concerto Second Movement (Superego)-Stop! Written, performed and recorded by Steven Pierce 1989. Visuals 2017. 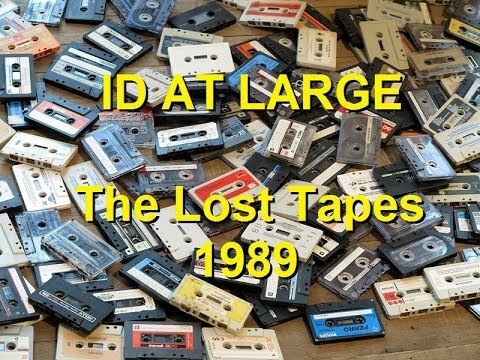 ID AT LARGE was a recording project I undertook from 1988 to 1990. In the first year and a half, I completed 11 songs, but at mixdown found the results to be so much less than what I'd hoped for, I burned the tapes. After a 3 month break, I started again, completing 9 songs by 1990. Last year when remastering the original tapes, I found 2 pieces that had avoided the flames. They are as follows. Medley: Far Away/Insomnia. Written by Gregory Guidi and Steven Pierce 1995/1996. 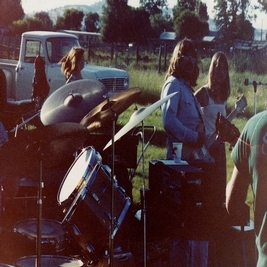 Performed by "Rhythm Method" with Curt Christian, Steve Pierce and Dennis Vaught. Recorded LIVE via boombox 1998. Visuals 2017. Far Away words by S. Pierce music by G. Guidi & S. Pierce C & P 1995 Waking from the same old dream, ,focus comes in blurry streams, washing the sleep into daze departed. Foggy head I hold my breath, "Is this life or certain death?" Sit up complete and dismayed. Oh, I have always felt the same, and I take the blame. I'm so far away, I'm feeling so far away. Still holding onto what there is to gain, but I hate the pain. I'm so far away, yes I'm so far away. I'm blending into every other thought, steady hands I haven't got, drifting from out to within regardless. 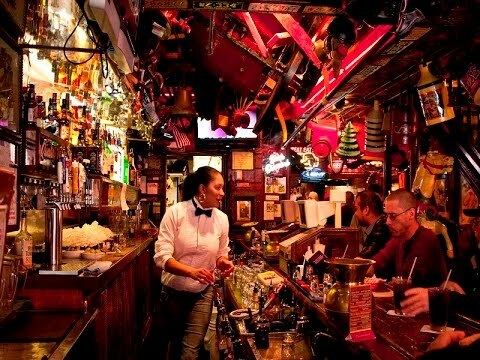 All at once I hear the clock, ringing off the table cloth, bringing me back to begin. Oh, I have always felt the same, and I take the blame. I'm so far away, I'm feeling so far away. Still holding onto what there is to gain, but I hate the pain. I'm so far away, yes I'm so far away. I see the hope of the new day slipping deep inside my brain, like the cold standing water dripping slowly down my drain. I'm feeling far away, but it's that time of day. And like they always say, "Given the easy way you will not display courage." God I don't feel very brave, yet I go on with today, wondering what it will bring to harvest. Some success and wishful thoughts, numb distress or getting lost, writing the words I will sing. Oh, have I always felt the same? Should I take the blame? I'm so far away, I'm feeling so far away. Still holding onto what there is to gain. Do I feed this pain? I'm so far away, yes I'm so far away. 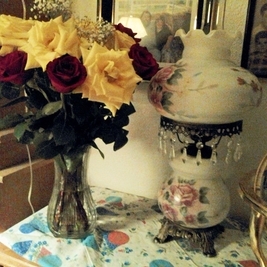 But still there's hope of the new day rising high within my heart, and the pain it will evaporate as I begin to start. I think it's time to weigh, all of these crimes I've saved. I feel so far away, but it's the same old game, and I will not play. I will hope for the new day coming right outside my door, and the life that I deserve is waiting for me to restore. I am free, yes I'm free. Insomnia by Greg Guidi and Steve Pierce C & P 1996 Twilight, goodnight, all who are sleeping, Moonlight makes a test flight, yours for the keeping. There’s a wave crashing down around me, bold as a babe in a tree. Welding wheels to the street, go for relief. Midnight, and the insight, I am not sleeping, all right, who’s the wise guy, nailed to the ceiling? 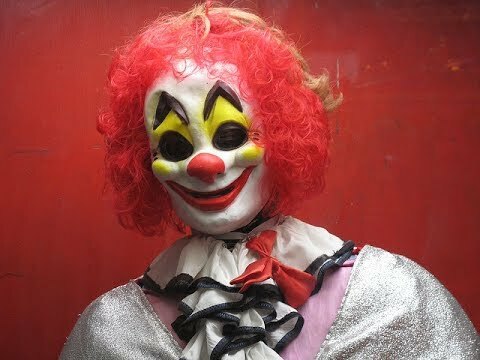 There’s a sound bearing down upon me, turned from a clown to a thief. Give me back what I need, gone for relief. Hey, there are spaces in the wall, I can see that antique’s going to fall. I ignore those things I can not see or call, I know my flesh is harder to install, in the dark I feel it all. Say, did you hear that one last night? It’s a scream and keyhole unrefined. 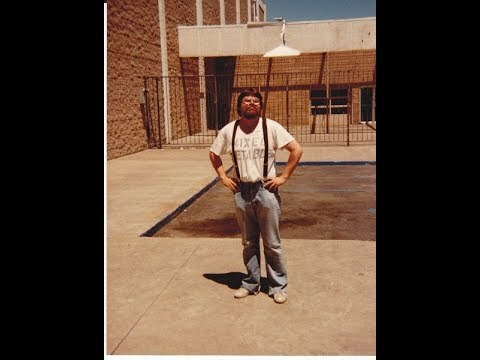 What the hell is Larry doing giving up the fight? I know, he’s old, then damn it, so am I, in the dark there sparks a light. Twilight, goodnight, I am not sleeping, hold tight to the skylight, through which I’m creeping. There’s a dream, falling down around me, born to be clean and believed. Soldier on in the stream, filled with relief, I see, it’s the dance for relief. 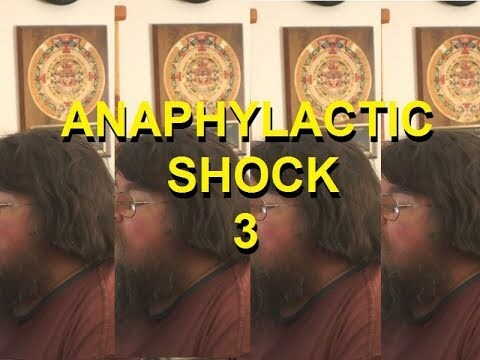 ANAPHYLACTIC SHOCK 3! Tracks 1 and 4 written, performed and recorded by Gregory Guidi and Steven Pierce 2002. Tracks 2 and 3 written, performed and recorded by Steven Pierce 2002. Visuals 2017. Stairway To Heaven. "Rhythm Method" featuring Curt Christian-Guitar, Guitar Synth, Lead Voice; Steve Pierce-Sequences, Guitar, Backing Voice; Dennis Vaught-Bass. 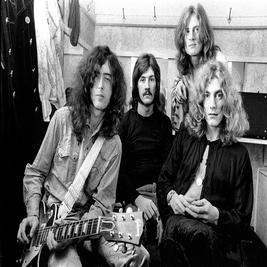 Led Zeppelin cover. Recorded "LIVE" at band practice on Curt's boombox 1998. RHYTHM METHOD plays: Sledgehammer (Peter Gabriel), It's A Mistake (Men At Work), Take It Away (Paul McCartney), With A Little Help From My Friends (The Beatles), Games People Play (Alan Parsons Project), King Of Pain (The Police), Let's Go (The Cars), My Brave Face (Paul McCartney), Light My Fire (The Doors), Summer In The City (The Lovin' Spoonful), Layla/After Midnight (Eric Clapton) and Bungle In The Jungle (Jethro Tull); featuring Curt Christian, Steve Pierce and Dennis Vaught. 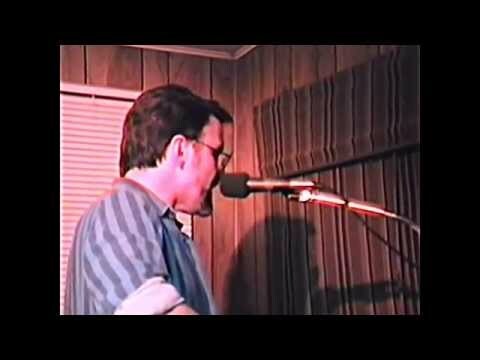 Recorded LIVE at rehearsal with Curt's trusty boombox 1998. Visuals 2017. Sister Golden Hair. 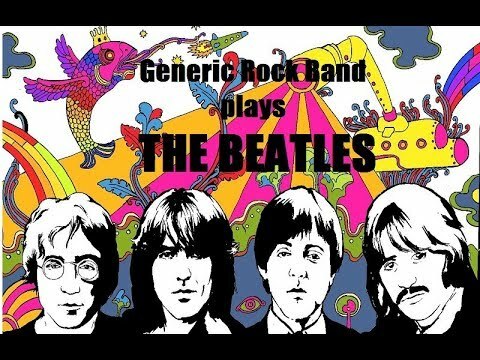 "Generic Rock Band" featuring: Paul Bridges-Bass, Backing Voice; Rick Coker-Lead Guitar; John "Mac" McFadden-Acoustic 12 String Guitar, Backing Voice; Gene Pierce-Drums; Steve Pierce-Acoustic 6 String Guitar, Lead Voice. America cover. 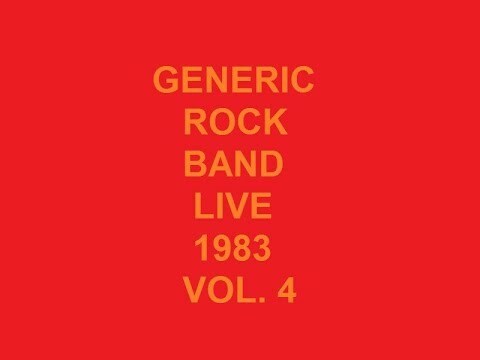 Recorded "LIVE" 1982. Visual 2017. 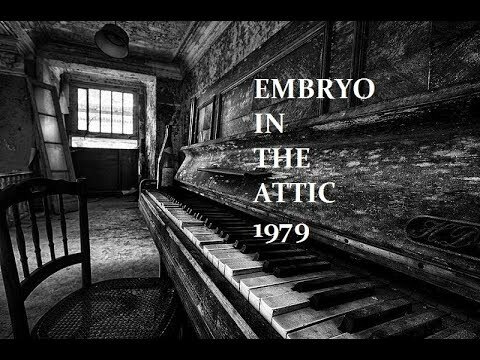 Embryo In The Attic. 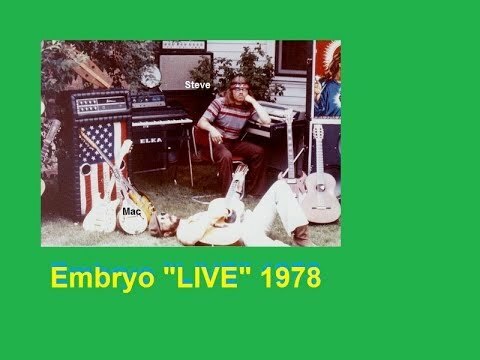 "Embryo" performs 7 original songs featuring; Steve Pierce-Keyboards, Guitar, Bass, Voice; Bruce Sterns-Drums. Recorded 1979. Visuals 2017. 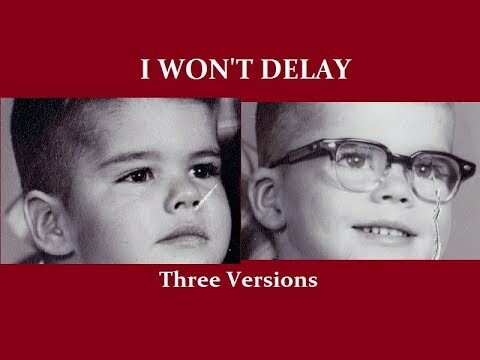 I Won't Delay (Three Versions). Words and Music by Michael and Steven Pierce 1966. Recorded 1982, 1998, 2005. Visuals 2017. One afternoon in 1966, Mike came into my bedroom and told me he had written a song on his way home from school. He then proceeded to sing verse, chorus, verse, chorus. I came up with a bridge and then we arranged the tune. Mike was 10 years old, I was 11. Learning To Fly. Tom Petty Tribute and Cover. 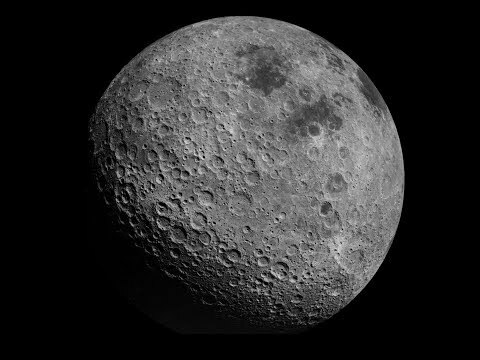 All Instruments and Voices performed by Michael Pierce 2017. Visuals 2017. 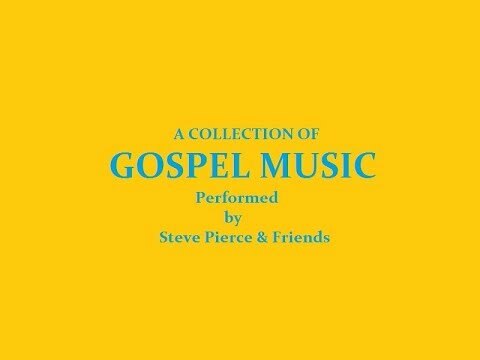 A Collection Of Gospel Music featuring Steven Pierce, with some assistance from John "Mac" McFadden and Bruce Sterns 1978 to 1982. Visuals 2017. 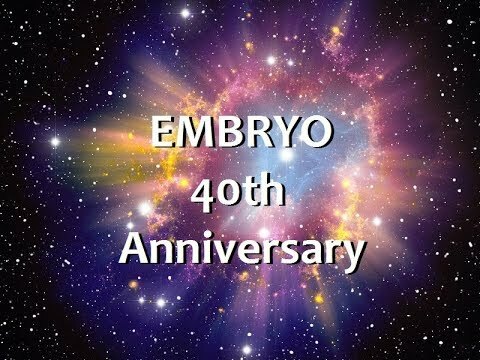 "Embryo" playing a collection of original and cover music, featuring John "Mac" McFadden-Acoustic 12 and 6 String Guitars, Banjo, Voice; Steve Pierce-Acoustic 6 String Guitar, Keyboard, Bass, Mandolin, Voice. Recorded "LIVE" 1978. Visuals 2017. 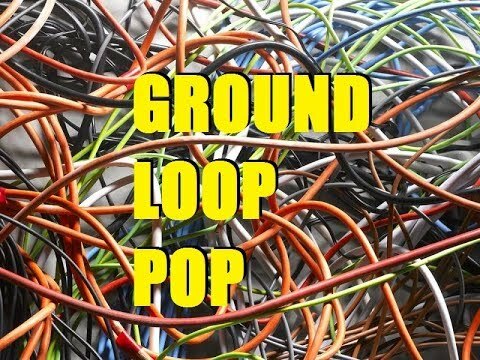 "XLR8" performs Night Ranger, Mike + The Mechanics, REO Speedwagon, Dire Straits, Honeymoon Suite, ELO, Robert Palmer, Bryan Adams, Billy Idol, ZZ Top and Outfield covers; featuring: Tony Lotches-Bass, Voice; Gene Pierce-Drums, Voice; Steve Pierce-Keyboards, Guitar, Voice; Andy Ward-Guitar, Voice. Recorded LIVE 1986. Visual 2017. 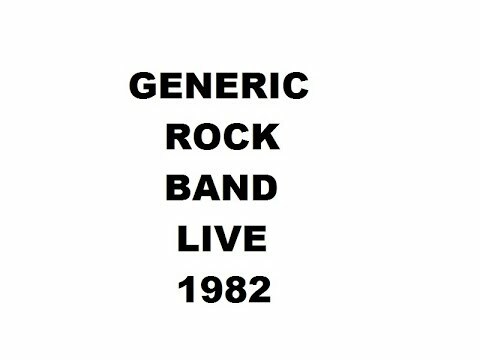 "Generic Rock Band" performs Leiber & Stoller, Billy Joel, Paul Davis, ELP, Doobie Brothers, Beatles and Steppenwolf featuring, Paul Bridges-Bass, Acoustic Guitar, Voice; Rick Coker-Lead and Slide Guitars; Gene Pierce-Drums, Backing Voice; Steve Pierce-Keyboard, Acoustic and Electric Guitars, Bass, Voice. 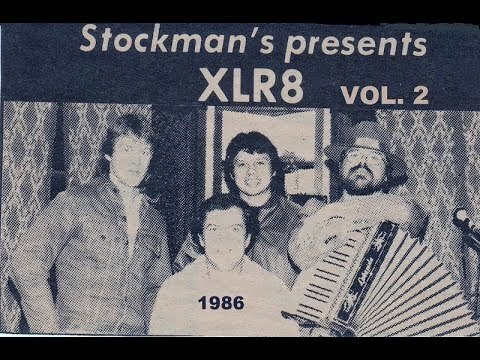 Recorded LIVE via Boombox 1983. Visuals 2017. "XLR8" performs Huey Lewis and the News, Autograph, Glenn Frey, Eric Clapton, Kiss, The Romantics, John Mellencamp and Roy Orbison covers, featuring Tony Lotches-Bass, Voice; Gene Pierce-Drums, Voice; Steve Pierce-Keyboards, Guitar, Voice; Andy Ward-Guitar, Voice. 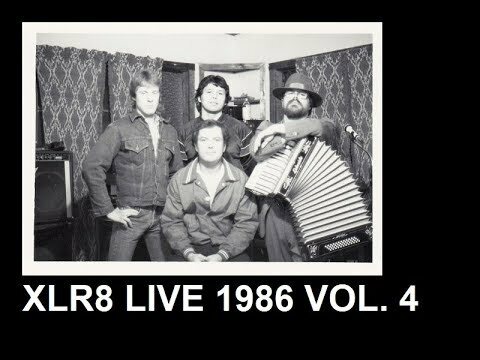 Recorded "LIVE' 1986. Visuals 2017. 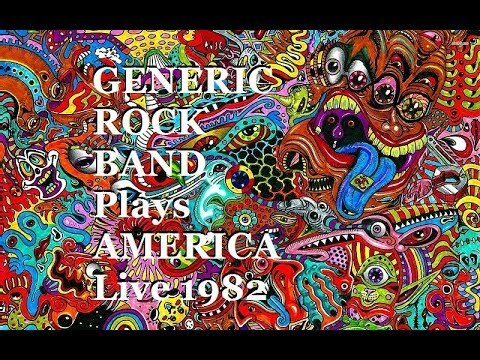 "GENERIC ROCK BAND" performs Don McLean, Joe Jackson, The Cars and Cream featuring Paul Bridges-Guitar, Bass, Voice; Rick Coker-Lead Guitar; Gene Pierce-Drums, Backing Voice; Steve Pierce-Keyboards, Acoustic and Electric Guitars, Bass, Voice. Recorded LIVE 1983. Visuals 2017. 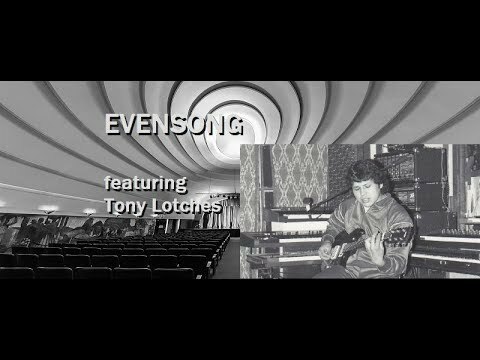 "Evensong" performs The Fixx, The Cars, Aldo Nova and Robert Palmer covers featuring Rod Coleman-Drums, Voice; Tony Lotches-Bass, Voice; Steve Pierce-Keyboards, Voice; Andy Ward-Guitar, Voice. Recorded LIVE via boombox 1990. Visuals 2017. "XLR8" performing Dire Straits, Phil Collins, Motley Crew and Billy Idol covers, featuring: Tony Lotches-Bass, Voice; Gene Pierce-Drums, Voice; Steve Pierce-Keyboards, Guitar, Voice; Andy Ward-Guitar, Voice. Recorded LIVE 1986. Visuals 2017. 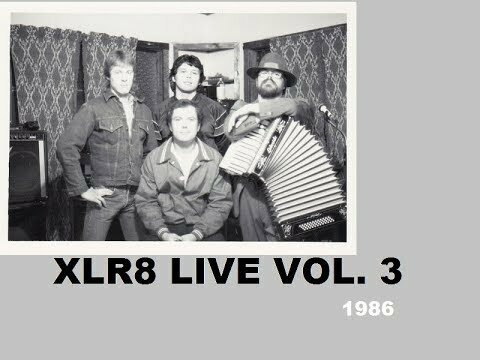 "XLR8" performing Tubes, John Parr, Paul McCartney and Rolling Stones covers, featuring: Tony Lotches-Bass, Voice; Gene Pierce-Drums, Voice; Steve Pierce-Keyboards, Guitar, Voice; Andy Ward-Guitar, Voice. Recorded LIVE 1986. Visuals 2017. 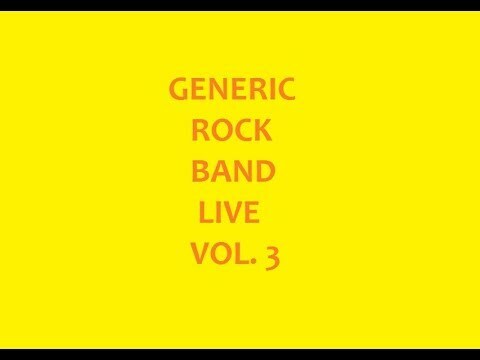 Generic Rock Band performs covers from Joe Walsh, Tommy2Tone, Foreigner, Styx and Alan Parsons Project featuring: Paul Bridges-Bass, Lead and Backing Voices; Rick Coker-Lead and Slide Guitars; Gene Pierce-Drums, Backing Voice; Steve Pierce-Keyboards, Guitar, Lead and Backing Voices. Recorded LIVE via Boombox 1983. Visuals 2017. Radar Love. "Rhythm Method" with Curt Christian-Guitar, Guitar Synthesizer, Lead Voice; Steve Pierce-Sequences, Guitar, Backing Voice; Dennis Vaught-Bass. Golden Earring cover. Recorded LIVE 1998. From Curt Christian's YouTube Channel. Green Eyed Lady. "Rhythm Method" with Curt Christian-Guitar, Guitar Synthesizer; Steve Pierce-Sequences, Keyboards, Voice; Dennis Vaught-Bass. Sugarloaf cover. Recorded LIVE 1998. From Curt Christian's YouTube Channel. I Shot The Sheriff. 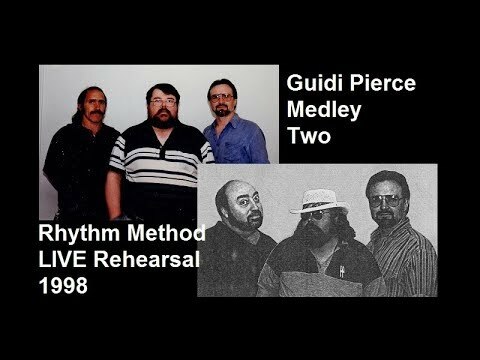 "Rhythm Method" with Curt Christian-Guitar, Guitar Synthesizer, Lead Voice; Steve Pierce-Sequences, Guitar, Backing Voice; Dennis Vaught-Bass, Backing Voice. Bob Marley cover. Recorded LIVE 1998. From Curt Christian's YouTube Channel. 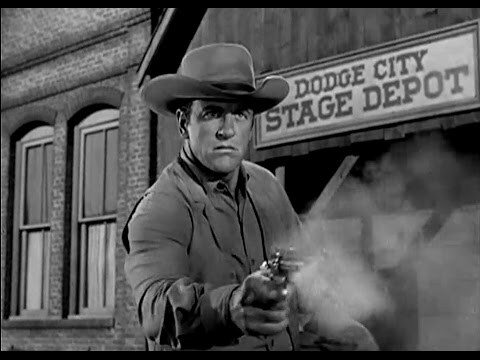 I Shot The Sheriff. 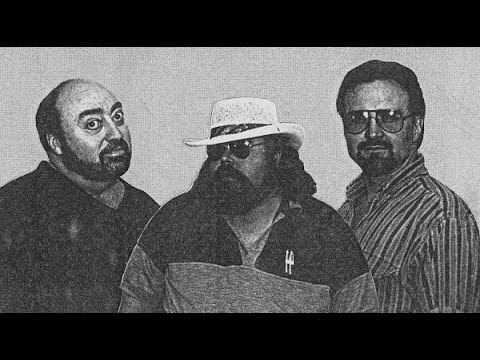 Rhythm Method: Curt Christian-Voice; Steve Pierce-Voice; Dennis Vaught-Voice. Band Practice 1998. 1. The Beautiful People. 2. Medley: Crazy Legs-Greg Goes To Town. "Rhythm Method" Curt Christian-Guitar, Guitar Synthesizer, Voice; Steve Pierce-Sequences, Guitar, Voice; Dennis Vaught-Bass. Words and Music by Steven Pierce 1982, 1974, 1974. Recorded LIVE at rehearsal to boombox 1998. Generic Rock Band: Paul Bridges-Bass, Backing Voice; Rick Coker-Lead Guitar; John "Mac" McFadden-12 String Acoustic Guitar, Backing Voice; Gene Pierce-Drums; Steve Pierce-Guitars, Lead Voice. Performing Firefall, Dan Fogelberg, Bob Seger, Free, Santana and Queen covers. Recorded LIVE 1982. Visuals 2017. Flatulence. Written, Performed and Recorded by Steven Pierce 1982. Visuals 2017. Father and Son. Performed by "Embryo" with John "Mac" McFadden-12 String Acoustic Guitar, Sings the Father; Steve Pierce-6 String Acoustic Guitar, Sings the Son. 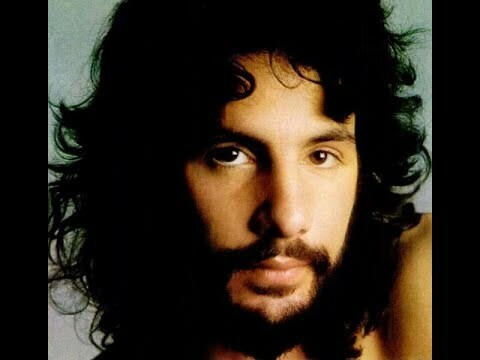 Words and Music by Cat Stevens. Recorded LIVE 1978. Visuals 2017. Band Practice with Rhythm Mort playing: 1. Anthony 2. Talk It Over 3. Wendy 4. 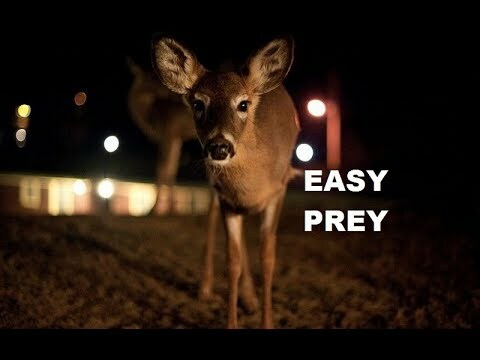 Easy Prey 5. I Think You Know featuring Mike Gervais-Acoustic and Electric Guitars, Backing Voice; Greg Guidi-Bass; Steve Pierce-Sequences, Guitar, Keyboards, Lead Voice. Recorded "LIVE" at rehearsal on Mike's boombox 2005. Visuals 2017. Sorry for the poor audio quality. All Right Now (Jam). "Destruction Of Time 2014" featuring: Greg Guidi-Bass; Mike Pierce-Guitar, Backing Voice; Steve Pierce-Keyboards, Drum Sequence, Lead Voice. Free Cover. Recorded 2014. This is dedicated to our dear friend Greg Guidi. We miss him so much. I Think You Know. Written, Performed and Recorded by Steven Pierce 2002. Visuals 2017. 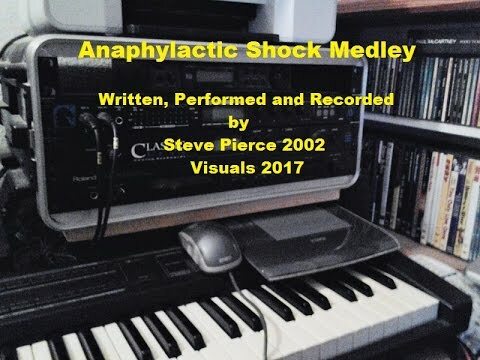 Anaphylactic Shock Medley Two: A. Y2K B. In The Open Field C. Do What You Got To Do. Written, Performed and Recorded by Steven Pierce 2002. Visuals 2017. 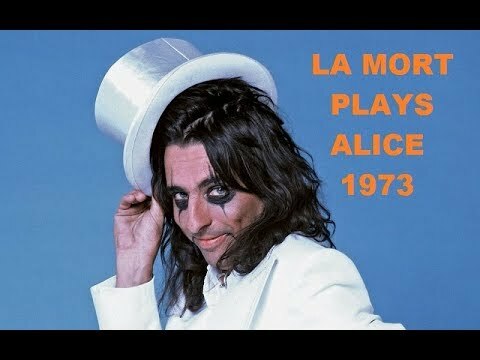 Alice Cooper Medley: Under My Wheels-No More Mr. Nice Guy. 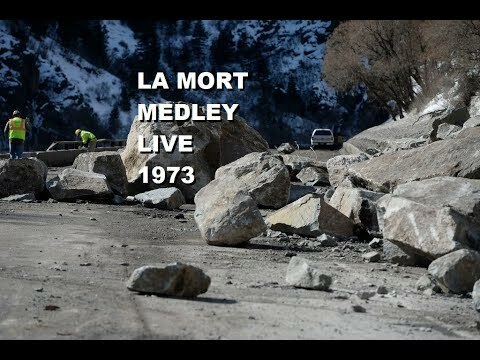 "La Mort" with Mark Joneschiet-Bass; Mike Pierce-Guitar; Steve Pierce-Vocal Frenzy; John Vallejos-Drums. Recorded Live 1973. Visual 2017. Band Practice with Rhythm Method 1998. Curt, Steve and Dennis perform Here We Go (Steve sings), Deep Dark Blue (Curt sings), Who's To Know? (Steve Sings) and Separation Rock (Curt and Steve Sing). Recorded "LIVE" at rehearsal on Curt's trusty boom box 1998. Visuals 2017. Bonnie Sue. Words by Steven Pierce, Music by Steven Pierce and Joseph Teibel III 1990. Arranged, Performed and Recorded by Steven Pierce 1990. Remastered 2015. Visuals 2017. Sound Of Silence-Mrs. Robinson. A Simon and Garfunkel Medley performed by Michael Pierce 2017. Tomorrow. "Rhythm Method" with Curt Christian-Guitar, Guitar Synth, Backing Voice; Steve Pierce-Sequences, Guitar, Lead Voice; Dennis Vaught-Bass. Strawberry Alarm Clock cover. Recorded live 1998. From Curt Christian's YouTube channel. Thanks Curt! I Don't Believe In Happy Endings (Original Version). Written, Arranged, Performed and Recorded by Steven Pierce 2015. Well I walk in the wind, and I run in the snow. I stop trying to save myself, it's my turn to die. And you know it don't seem right, that I die alone tonight, I leave alone tonight. Make it right. Now I don't believe in happy endings, like I did when I's a kid, and I wish I never did. Oh no, oh no. Medley: Got To Get Up-Walking The Streets Of Hell. Greg Guidi-Bass; Steve Pierce-Sequences, Guitar, Voice. 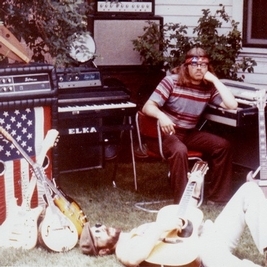 Words and Music by Greg Guidi and Steve Pierce 1970/1975/1996. Recorded live in the studio direct to cassette tape 1996. Visuals 2017. 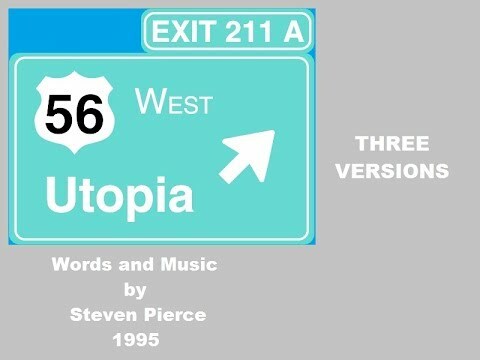 Utopia (Three Versions) Words and Music by Steven Pierce 1995. Will Love Pass Me By. "Embryo" with John "Mac" McFadden-Acoustic 12 String Guitar, Voice; Steve Pierce-Acoustic 6 String Guitar, Voice. Words and Music by Steven Pierce 1975. Recorded Live 1978. Evensong. With Don Gentry-Acoustic Slide Guitar; Steve Pierce-Keyboards, Sequenced Synthesizer Bass, Electronic Percussion; Stockman's Social Club-Crowd Sounds. Written and Recorded by Steven Pierce 1990, Remastered 2015. 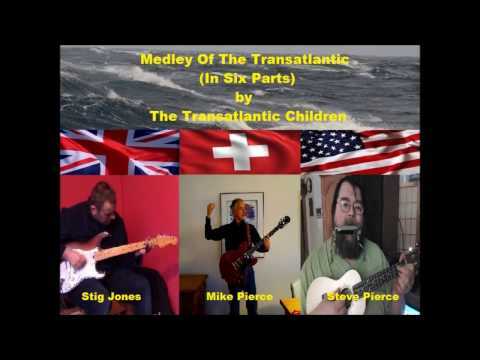 Medley Of The Transatlantic by The Transatlantic Children with Stig Jones, Mike Pierce and Steve Pierce 2017. Steve Pierce - Hangin' with the band! 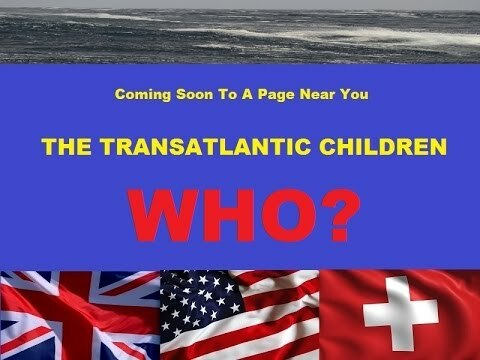 The Transatlantic Children Coming Soon! Anaphylactic Shock Medley: A. Stars Are Falling B. Bulletproof C. Ledger Of Tears. Written, Performed and Recorded by Steven Pierce 2002. Visuals 2017. 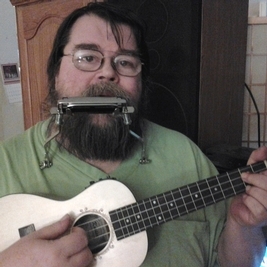 Steve Pierce - Baritone ukulele/ bass/ drum sequence/ voice. Panic National Anthem Blues. Written, Performed and Recorded by Steven Pierce 1982. Eulogy At 3 AM. Written, Performed and Recorded by Steven Pierce 1982. 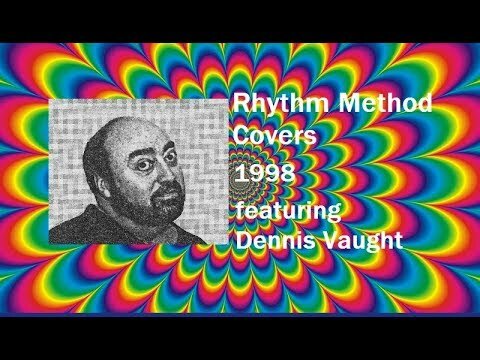 Here's a remaster of Rhythm Method preforming a medley live from 1998 - "Go All The Way" - Eric Carmen/The Raspberries, "Always The Last To Know" - Del Ametri from VHS tape ... All MIDI sequencing mapping and programming, guitar, vocal 2 and 1 - Steve Pierce ....... bass, backing vocal - Dennis Vaught ......... guitar synthesizer, guitar, vocal 1 and 2 - Curt Christian ........ touched up, remixed and reposted by request - THANK YOU !! Everybody Wants To Rule The World-Does Anybody Really Know What Time It Is. 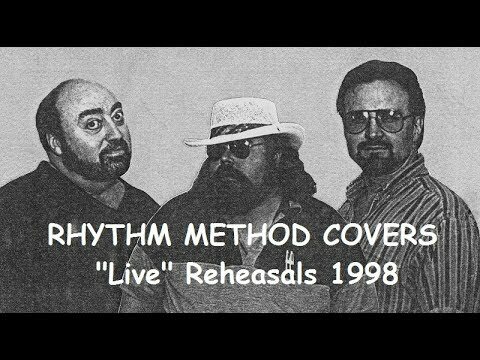 "Rhythm Method" with Curt Christian-Guitar, Guitar Synthesizer, Backing Voice; Steve Pierce-Sequences, Keyboards, First Lead Voice, Backing Voice; Dennis Vaught-Bass, Second Lead Voice. 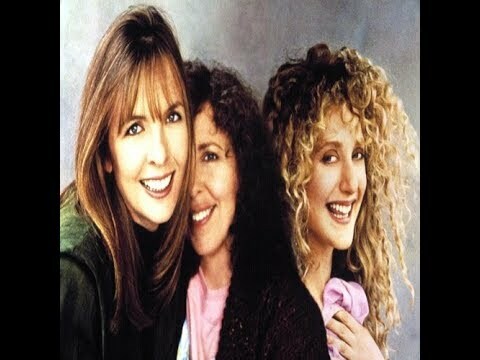 Tears For Fears-Chicago covers. Recorded Live 1998. From Curt Christian's YouTube Channel. 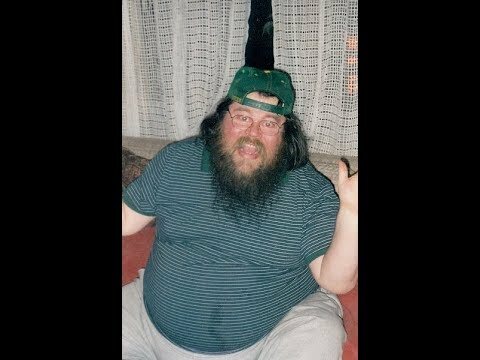 Steve Pierce - I be jammin'! The Boogie Man. 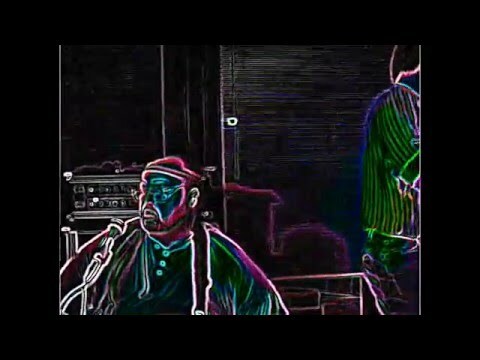 "The Transatlantic Electric Jug Band" with Stig Jones-Electric guitars, Drum Sequence, Lead Voice, Video; Steve Pierce-Bass, Banjo, Ukulele, Dobro, Backing Voice. 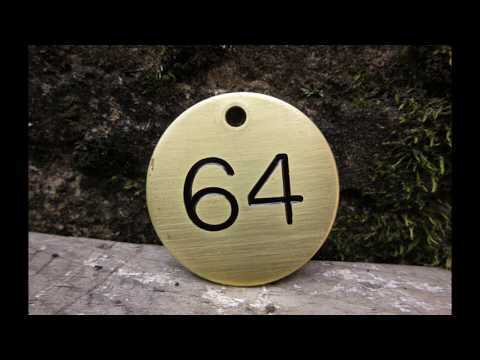 Words and Music by Stig Jones. Arranged, Performed and Recorded by The TEJB 2017. 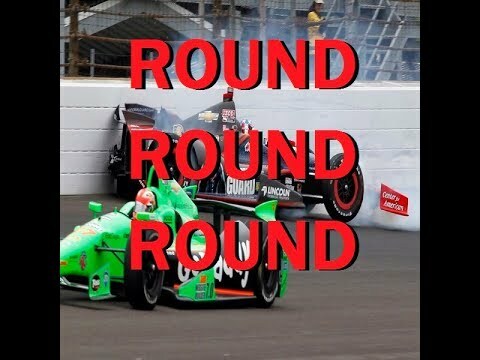 From Stig's YouTube Channel. Steve Pierce - Having a blast! Winter Passage-Part 1. Written, Performed and Recorded by Steven Pierce 1979. Steve Pierce - 12 and 6 string guitars/ voices.